Dr. Tepper is a family physician and the President and Chief Executive Officer of Health Quality Ontario (HQO). An arm’s length agency of the provincial government, HQO works in partnership with Ontario’s health care system to support a better experience of care and better outcomes for Ontarians. Prior to HQO, Dr. Tepper was the inaugural Vice President of Education at Sunnybrook Health Sciences Centre. As Vice President, he was responsible for Sunnybrook’s educational strategy and programming for learners, physicians and staff, patients and their families and the community. Prior to joining Sunnybrook, Dr. Tepper was Ontario’s first Assistant Deputy Minister (ADM) in the Health Human Resources Strategy Division of the Ministry of Health and Long-Term Care. As the ADM he led the HealthForceOntario health human resources strategy to ensure that Ontarians have access to the right number and mix of qualified health care providers, now and in the future. 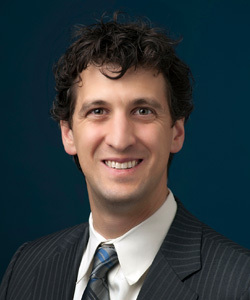 In addition to his involvement in health policy and research at the provincial level, Dr. Tepper has also been active on a national scale as the senior medical officer for Health Canada, an adjunct scientist at the Institute for Clinical Evaluative Sciences (ICES), and a research consultant for the Canadian Institute of Health Information (CIHI). He has received several provincial and national awards for his leadership in these positions. Dr. Tepper has always remained in active practice serving marginalized populations and taking on clinical leadership roles. Previously, he served as the Medical Director for the Inner City Health Associates, President of the Inner City Family Health Team and as Vice-President of the Society of Rural Physicians. Currently, Dr. Tepper practices in the St. Michael’s Hospital Family Health Team and in the Emergency Department at North York General Hospital. Dr. Tepper holds a degree in Public Policy from Duke University, a medical degree from McMaster University, a Master of Public Health from Harvard, and his executive Master of Business Administration at the Richard Ivey School of Business. He completed residency at the University of Toronto.